For almost ten years Sir Peter Hendy has overseen London’s Transport renaissance. As he prepares to depart, we sit down and talk about leadership, politics, London’s future challenges and… of course… buses. It’s an abrupt start to the conversation, but nearly all our previous conversations have started a similar way. On entering TfL’s board room the speaker’s eye has immediately been drawn to something technical to do with day-to-day transport operations. In this case, the pile of posters scattered on the table at the back of the room, clearly leftover from a design presentation the night before. Soon we are both examining a sample. At first glance, the heavy fabric poster seems no different from any other that might be seen on the walls of a work site. Up close, however, it becomes clear that the material is lighter, whilst still feeling strong, and is also pierced by thousands of tiny holes. A casual observer to this conversation might assume that the smartly dressed man, with neat closely cropped hair and thin-rimmed glasses, is responsible in some way for TfL’s design arm. Or is perhaps in charge of an operations department or works project. They’d be correct – although not in the way they suspected. The speaker is in fact Sir Peter Hendy, London’s Transport Commissioner. The man responsible for running the capital’s vast and ever-growing system of Tubes, trams, trains, buses, bikes and more. He is one of the most powerful and influential men in the city and, certainly in the 150 year history of the Underground, one of the most successful leaders the network has had (the honorific is not hereditary. He was knighted for services to transport and the community in 2013). “Nine years, five and a half months.” he says, proudly, when I ask him how long it has now been. “I’ve done it longer than anyone else since Lord Ashfield by some considerable margin – I remember working it out for your christmas quiz a few years back!” His time at the top, however, has now come to an end. As we speak Sir Peter has just resigned, having agreed to a request by the Government to take over as chairman of struggling national infrastructure firm Network Rail. For nearly a decade Sir Peter has been as much of a consistent presence in the world of London transport as TfL itself. Indeed it is no coincidence that the organisation he has led has come to reflect many of his own priorities and beliefs, shaped (not without occasional bouts of controversy) by his hands-on, intensive style as Commissioner. “If you do it the way I want to do it,” he explains of his approach to the role, “then it’s every day. I do a text every morning, of every day of the year, to Boris [ Johnson, Mayor of London] and copy it around to loads of people about what’s going on on the network. Someone else could do it, but I think it’s very important. That style, it turns out, is one of the reasons why the thought of moving on was something that had begun to creep into his mind even before the Network Rail offer came. Regardless of what the future brings, Sir Peter’s time, first as head of Surface Transport and then as Commissioner, has encompassed an enormous amount of change. 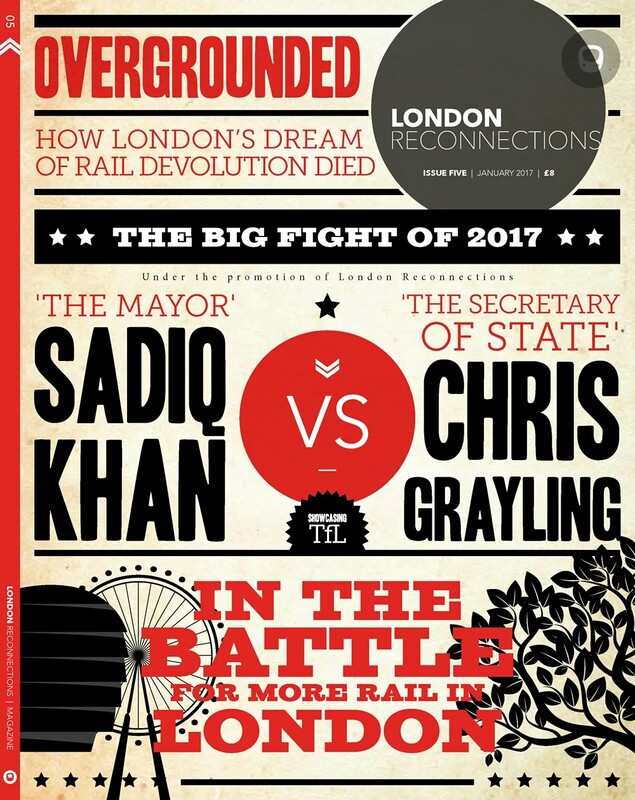 Much of that – the rise in Tube usage, the construction of Crossrail, the growth of London Overground – is obvious even to the most infrequent user of the transport network, as are the drivers for it. Not all of the moments which have shaped London have been quite so explicit, however. I ask Sir Peter which key moments he feels are sometimes overlooked. Interestingly, however, it is not the primary objective of the charge – the reduction of traffic – which Sir Peter sees as the game-changer. “It meant we got the money and had the incentive to change the bus service.” He explains. “That did a whole load of things at once.” He says, ticking items off an imaginary list. “That changed the way people moved in the centre of the city. It afforded the opportunity for real public realm schemes in a way that we’d never done it before. And we put on something like a hundred and fifty buses at once. We put on the 148 and several new routes. That difference is hard to dispute. Since he first rejoined TfL as head of that very bus network in 2001, general ridership in London has grown 60% whilst the use of night buses has doubled. Last year, London’s buses saw more than 2.4 billion passenger journeys. Not just more than any other city in Britain, but more than everywhere else in England combined. Whilst there were already signs of growth when the Congestion Charge was introduced in 2003, it is this that Sir Peter credits, at least in part, for kicking off such an epochal change. “At that moment, I think the bus service, at least for middle and upper class people in central London, changed from something that you avoided to something you would use. If the Congestion Charge is one financial change which has been key to the current shape of life in the city then it is not not the only one. “I don’t know what would happen if you asked Ken now,” he explains, “but actually most people recognise that although the structure was wrong, the establishment of long term funding was a really good thing to do. “Now as it happened it didn’t work out, and actually taking it out was also a good thing to do. But since we left the long term funding and took away the nonsense of the contractual detritus that surrounded it, actually that’s transformed the Tube. “It’s transformed the Tube from a management point of view, as they got control back. From a ‘what can we do?’ point of view so that you can see a long term plan. And actually taking the PPP back in two chunks, and having a long term investment plan, has been the reason why people now think that we can do the things we can do. Given the timing of his resignation, and the conversation, it is perhaps unsurprising that Sir Peter’s third key moment is a more tragic one – the 7th July bombings of 2005. “If you remember Madrid, where they had those terrible train bombings and it all stopped for a week, the Government fell over.” He explains, with a clear mix of sadness for those lost and pride in those working that day. “But we didn’t close the place down for a week. We got going again. “And getting it running again was an achievement actually.” He continues. “I’ll tell the full story some other time, but in the end we started the bus service without any permission from anybody. I said to [then Transport Commissioner Bob] Kiley: ‘if we don’t start getting people home this city is going to be full of people at midnight’ because the Tube couldn’t run. “And the fact that the staff came back in,” he says, with clear emotion, “and that it all started again the following morning, was… well, it was a pretty good moment for this place. Sir Peter’s comments touch on one of the subjects on which he is almost singularly placed to comment – just what is the current relationship between Commissioner and staff, and what should it be? Should the Commissioner be politician or engineer? Should they be both? “Look not everybody can do everything” He says, firmly. “That’s the truth of it. I’m not an engineer. I don’t pretend to be an engineer. I do think two things though. First, when I was a young man here most… well, nearly all of the senior management avoided using the product like the bloody plague. We had fleets of cars and chauffeurs and they didn’t use it in the way that ordinary Londoners used it. And they’d also lost touch with the people who provide the service. And I think it is really important. The attitude of the staff on the Tube is about how they’re managed as much as it is about how they are treated by the public and what they are asked to do. And if your management aren’t in touch with that I think it’s not very good frankly. It’s a hard job driving a bus, and if you don’t realise it’s a hard job and it’s not particularly well paid…I think the management ought to recognise what you’re doing. He stops and thinks for a while before continuing. Handling the politics is, of course, another topic on which Sir Peter is uniquely placed to comment. He is the only Commissioner to have worked under two different Mayors. Indeed were it not for the speed of his departure he would likely have been seeing in a third. I ask what challenges the mayoral elections bring, and whether managing the shifting politics is hard. “But the thing is,” he says, with a smile, “The rest of it still runs, doesn’t it? The rest of it still runs! Camden Town station still opens at 5:30 in the morning after a mayoral election and people go there expecting to get a train! And actually if you look at the Mayor’s Transport Strategy as evidence, the one that’s written in 2010 is not terribly different in philosophical terms to 2002. And the reason for that is quite a lot of what this place has to do is about economic growth, and jobs and housing. “And that’s the same with every Mayor!” He laughs. “They might want to do more of it and in different places. But it’s the same stuff. His apparently pragmatic approach to TfL’s political masters is not one that has always existed, as he’s prepared to admit. “I remember London Transport when it was responsible to the GLC [Greater London Council]” He says. “It wasn’t anarchic, but LT was deliberately evasive. They treated the GLC with utter disdain. They told it as little as possible, got in its way as much as possible and… and, I mean, why would you do that? What’s the point of that?! What does it do for the organisation?! You think you’re at war with the people who give you the money? That’s not very bright is it?! Sir Peter points to one clear example of where recognising the overlap between a political demand and a transport need has had a huge impact – cycling initiatives. There’s one other area in which TfL have clearly been both influential and transformative – the digital revolution in both information and fares. “And I was completely wrong.” He admits. On the subject of smart ticketing, he is equally effusive. Given his new role at Network Rail, we can’t help but ask whether he feels that TfL have so far been responsible for dragging the railway industry into the world of smart ticketing, rather than it being a group effort. “I think it’s sad that it’s taken so long to get national rail on the same page.” He says. “But there’s signs that it’s getting there. I think it’s self evident that asking people to turn ordinary currency into your own paper tickets and Oyster is ludicrous when actually you don’t need any of it and just want to go and pay. As we near the end of our conversation, we turn back to the subject of the role of the Commissioner – what challenges await both TfL and the next occupant of the post? London’s transport network last faced a similar challenge during its so-called pre-Second World War “golden age.” Its successful navigation of this period was at least in part down to the two men then at its head – Frank Pick, the organiser, and Lord Ashfield, the greaser of wheels. I ask Sir Peter if he feels the challenge, and the balance of skills needed to meet it, are the same now. “Pick was an administrator of the highest order.” He replies. “Ashfield was a consummate politician and managed to create a unified public corporation out of disparate elements. Oh, and strip the LCC of its tramways, which was quite a feat actually! “And now? It’s not the same, because it’s the modern age and there are many public sector organisations. But… the general concept of some strategic leadership for the city and an organisation that delivers it is about as close as you’re going to get, I think. “And I think what’s really important is that it’s not just us – TfL – that’s been successful at that. It’s the city that’s been successful. You can put a lot of that down to having a strategic political leader who has a vision, who is obliged to have – through the London Plan and the Transport Strategy – a strategic vision for the development of the city. “If you don’t have a vision it’s just an operation. And Pick and Ashfield were forming Greater London in the absence of any other political leadership, really. Strategic vision and an understanding of how to carry it out, then, are what he feels are key. Stepping back and looking at both his comments and his actions, however, it is impossible to shake the suspicion that what has made Sir Peter so successful as a Commissioner is his ability to play Pick or Ashfield as the situation demands. Just as hard as it is imagining Frank Pick sitting down with Boris Johnson to discuss his political needs, it is equally hard to imagine Ashfield walking into a room and talking excitedly about the minutiae of poster manufacture. I point out to him that he may not be an engineer, but he is still 100% busman. A man whose first job in London Transport was as a graduate trainee, who has worked on the buses, who is still licensed to drive them and who owns a classic London Routemaster. At that moment all talk of current transport is forgotten. Picture proof is requested and swiftly offered whilst conversation turns to the history of both the RT in general and this bus in particular – RTW467, the last one in service. It also prompts what is, to me, an important question – will he still be driving buses at Imber? Since 2009, for one day only in August every year, a vintage bus service operates from Warminster in Wiltshire, to the abandoned village of Imber on Salisbury Plain. The combination of classic buses and the haunting, empty buildings of Imber (which was taken over by the MoD during the Second World War and never reoccupied) makes it a truly unique event. One made even more special by the fact that few families or enthusiasts who make the trip likely realise that one of the volunteers driving those buses is, in fact, Sir Peter himself. Eventually, a quiet cough from his staff reminds us that, for a few more days at least, he still has a transport network to run. As we snap back to reality and gather our things, I can’t help but comment that he’s leaving a very large pair of boots for his successor to fill. “O’Toole said once,” He replies, thoughtfully, referring to the former MD of London Underground, “and he was absolutely right, that you get given this thing for a bit and you better give it to someone else when you’ve finished a bit better than when you found it. “And that’s right, actually, there are no superheroes in this.” He pauses, and looks up one final time at the posters and pictures scattered around the walls. This article first feature in LR Magazine Issue 1. You can purchase this issue or subscribe to the magazine in our online shop. And this is probably the right place to mention that on Thursday 24th there is due to be an item at the TfL Board concerning the outcome of the selection process for Sir PH’s successor. Interesting article. I am slightly surprised at some of the remarks based on my own experience of working at LU / TfL for a long time. Not sure I saw the reality of management practice as Sir Peter expected it to be carried out but not everyone can meet the ideals set out from the top. I find it really quite surprising that he views knowledge of the network and London’s geography as being important and valuable. I agree with him on that point but a great deal of that specialist knowledge and experience has walked out the door with no apparent effort to recreate it in those left or those joining TfL. I see worrying bits of declining quality like incorrect bus stop numbers, timetable changes not updated at stops, bus maps not updated etc. All this stuff used to run like clockwork and relied on those experienced, geographically aware people doing their bit. Now it’s not working for some reason and the people who suffer are the passengers who don’t understand what bus to get home in the middle of the night or which bus stop to wait at. Let’s hope this stuff gets sorted out and quickly. There’s no doubt that a very great deal was achieved during Sir Peter’s tenure and London is a better place as a result. He leaves very big shoes to fill and as reported above we may know today who is tasked with that role. London will be different without Sir Peter. But our loss will, clearly, be the country’s gain. I never had the pleasure of working for Sir Peter but I suspect I would have enjoyed it greatly; the mixture of “can do” and the engagement with and support of the chaps at the coal face reminds me very much of Bob Reid 2 (another delight to work for). I particularly empathise with his comments about the attitude of LT management to the GLC – when we renationalised them, their Board Member for Finance tried to adopt the same approach to the Department – he could barely bring himself to switch off the television in his office (on which he was watching the Test match) to have his first meeting with his prospective new masters – the message was” we saw off the LCC, we saw off the GLC, we’re not afraid of you”. So we sacked him. I think Sir Peter has had a major impact on management culture in that respect. The interesting thing is whether he can work the same magic on NR. Time is,with the best will in the world, not on his side and the drumbeat of the reorganisers is getting ever louder. I do wonder if he will find the job (a) doable, and (b) different to what he was led to believe. I see I am not alone in wondering about how well Sir Peter will allowed to do in his new role. The politics must be horrendous even if you are very adept at handling it. Trying to “fix” an organisation while others are trying to take it to bits or change its purpose is no easy task. An excellent interview; an excellent piece of journalism. London’s transport, not to mention employment and housing situation, affects directly the whole of South-East England. Crossrail 1 will take TfL to Reading. Is this sentence not a message to both Sir Peter’s successor and the next Mayor? @Walthamstow Writer (0050) on a similar point, but more forgivable possibly, are the Victoria Line trains with maps that don’t have Overground or TfL Rail from Liverpool St on them. @ Anonymous – hadn’t spotted that one but I suspect the”sticker” resources have all been expended on the line car diagrams which were overstickered for the Overground switchover then overstickered for the blockade works. Unfortunately removing the blockade stickers has, in some cases, also removed the Overground oversticker!! It’s all a bit of a mess and the digital display / announcements hasn’t been amended either for the Overground. The Central London planners are pretty expensive to replace so they don’t get done that often. I think the priority should be restoring the line car diagrams then updating audio / visual but there may well be other priorities on the line with the work towards 36 tph next year. We must be very close to the point where implementing e-paper maps would be justified by reducing the enormous distribution and labour costs involved in maintaining up-to-date paper maps throughout the whole infrastructure, including trains. Mike Brown has been appointed today as Transport Commissioner. Now to see if he survives beyond May 2016. No reflection on Mike in saying that, more the risk of politicians wanting their own “new broom” once they take over from Mr Johnson. The Victoria Line doesn’t go to Liverpool St or any station that has TfL Rail. I’ve seen many generations of in-train Victoria Line maps and they started having the latest Overground lines showing about a week before they went live, and then they were “upgraded” (with stickers) to show the recent “blockade”. Oddly enough, it took the existing Overground lines quite some time to have the full Overground network on them, and the lines out to Chingford only have the Lea Valley Overground lines on the in-train maps. @ Briantist – I believe Anon is referring to the “Central London” planner map and NOT the line car diagrams. All LU trains have a form of the Central London planner but they differ in size because of the different internal layouts and roof shapes of the various stocks. It’s a reasonable expectation that the Central London planners would show the “new” TfL routes running out of Liverpool St just as a normal Tube Map does. But hardly a priority to have TfL Rail on Victoria Line central London maps, given that they don’t connect, and the only bit which would be on the map is LSt to Stratford , which is duplicated by the Central Line. The Anglia Overground lines are a different matter, A passenger in the NE extremities of the Vic Line might well want to know that there is a quicker way to LSt than changing at Kings Cross, as the old map would have you believe. @ Timbeau – I made no comment about priorities. I was merely attempting to correct what I think is a misunderstanding on Briantist’s part. IME of handling customer info changes in the past the Central London planner changes were often at the back of the queue for updates. Not sure why. Anyway I’m now wishing I hadn’t bothered to respond. @Walthamstow Writer (second comment): a great deal of knowledge has, indeed, been lost particularly with the passing of the bus conductor who knew their route back to front and could also tell passengers where to change and what bus to take. @Keith Hales: TfL is well behind the curve where apps are concerned. I have two excellent third party apps. One is a pdf of the tube map and the other is a collection of 10 other pdf maps showing, amongst other things, ‘London’s rail & tube services, stations with toilets, step free stations, stations where you can avoid stairs, and the congestion charging zone. However, don’t bother trying to find them in any app store as TfL has had them taken down. @ Lady Bracknell – TfL have said quite clearly that they are not in the “app business”. Their preferred way of working is to release the relevant data for developers to use – subject to said developers complying with the rules. I suspect those rules don’t allow the wholesale “theft” of TfL produced maps for possible commercial use by others. I know people sometimes don’t see the point of IPR protections and licensing but there is a strong well regarded identity to preserve in the case of TfL / LU. I am amazed no one has managed to pull together a suitable app using the station data that TfL release although, to be fair, I’ve never looked for one because the tube map is imprinted on my brain. The apps I am talking about are free and is precisely the sort of information that TfL should provide. I for one appreciate being able to view the maps on my phone rather than having to keep a number of increasingly tatty paper maps in the depths of my handbag. Not all of us want live information nor to use up our precious and expensive data allowance. TfL can’t be bothered with apps whilst at the same time preventing others from doing so. Seems rather stupid to me. My guess is that creating their own version of the tube map would be a significant undertaking for app developers and of limited value, as the user would probably expect something that looks exactly like the map on tube station walls, which would raise issues with copyright. Another issue between TfL and third party developers is the reliability and functionality of the Application Program Interfaces (API) that TfL use to provide data. It isn’t unusual for the APIs to go offline so apps stop working, or TfL make a change to the API and that breaks the app until the developer updates it. I was at a tech conference over the weekend where the people at TfL responsible for assisting app developers with access to their API and data were present. They made a presentation about what data they already have, and were happy to hear of requests for new datasets (one being a request from me, as it happens). Their view was that TfL don’t want to be in the business of app creation and support, per se, but that all the data they use internally (for the website, route finder, etc) should eventually be available to app developers too. There are presently some limitations (around ticketing / fare calculations) but otherwise they are happy that people develop and publicise the apps they create, which may be sold commercially without payment to TfL. Reynolds 953: Re “Another issue between TfL and third party developers is the reliability and functionality of the Application Program Interfaces (API) that TfL use to provide data” I was advised on Friday that the same API provides the data to app developers which provides data to the TfL website and services. There is no separate interface. Yes, but TfL knows when it is about to break the interface and can make the necessary changes to its own applications (e.g. website) and synchronise the changes. It can also decide to “retire” some interfaces and move over to new ones then remove the old ones knowing that it isn’t affected – but third-party developers still relying on it maybe. A third-party app developer probably just finds out that one day his app no longer works. Oh, one thing I forgot to mention … I asked whether they _internally_ differentiated each of the overground lines by some code or other. The answer I was given was “[that] each line has been given its own name” and that they were to be publicised “soon”. @ PoP / Alison W – a classic problem with the API data is with the bus network where TfL move stops, install new ones, change routes etc. Most app developers don’t have automated processes to trigger updates every fortnight when the Countdown data gets updated. This means apps can be out of date for weeks or months as things change – happened when Tottenham Hale bus station opened. I couldn’t get the times for my local bus from there and I lost count of people wandering round with smartphones using maps to bus stops that no longer existed. The big problem was for people going to IKEA who wanted the 192 but the app data pointed people to the new alighting stop (formerly the boarding stop)!! I wonder how well TfL actually advise app developers as to how and when their data changes? Clearly no one can force the app owner to update their apps but if there isn’t a decent change notification process then the benefits of third party apps will diminish over time. Like they only too monumentally didn’t when they changed their web-site & it took months for some things to start working again? A lot of Application Programming Interfaces support “versions” which means that they can introduce new functionality but maintain compatibility with older applications so developers aren’t forced to upgrade until after, say, three major versions have been released. This tends to be the practice for applications that fundamentally rely on third party developers but I don’t think TfL quite have this mindset just yet, although they seem to be gradually moving in this direction. @Walthamstow Writer: I often see one star reviews or rants in app stores and had not appreciated that the developer is fully at the mercy of broken data from the supplier. @ Lady Bracknell – I’m only commenting from my own experience of one fairly simple aspect for Live Bus Departures. I have a couple of such apps and seen that it can take a fair amount of time for data updates to filter through. I’ve no clue as to what it takes to make an app but I assume many are produced by fairly small companies or individuals with limited resources and limited knowledge as to how the transport network changes. Another example was a delay in reflecting the Overground West Anglia and TfL Rail routes in things like Journey Status lists or station lists for train departures. Oddly TfL have just updated their Digital Blog with info about their new Unified API. One wonders how much reworking, or not, might be needed to reflect that change? …27 comments in, and nobody has made a “Hendy-bus” joke yet? with a contribution by Peter himself.